Are you wondering how to generate blog post ideas for your business site? If you’re thinking about it from the business owner’s perspective, you’re doing it wrong…. Here’s why. Your blog posts should be all about your customer and how you can add value for them, not just about your business. Blog posts offer the opportunity to help customers get to know, like and trust you … then buy from you. Put yourself in your potential customers’ shoes. You have a problem to solve or there’s something you need to find. Where do you look for a solution? Most people will type their query into Google or a similar search engine. If we’re looking for a new rug for the living room, some people will type “Living room rugs”. Others may be more specific and type something like, “Traditional living room rugs” or “Beige living room rugs” for example. Others might type in, “How to choose the right rug for your living room”- this is asking for an answer to their problem. Once you focus on the needs of your customers and potential customers, it becomes a lot easier to generate blog post ideas for your website. 1. What do your customers want to know? Think about the questions your customers regularly ask you during the initial stages of your relationship. What is the “big problem” you can solve for them? What knowledge do you have which can be shared to build trust? Don’t worry about giving away “trade secrets” or your competitors reading/copying your posts. Just use the information you’d normally talk to customers about in a face-to-face situation. Outline one or more of your products or services. Explain in detail how the product or service works. Every customer has a problem, be sure to tell them how your product solves their problem. For example, if you sell fishing lures, you may be able to provide information about the techniques using to cast the line so that the lure is more appealing to the fish. Sharing this information will help customers to know, like and trust you, as well as demonstrating your authority. What do your customers appreciate about you? What positive feedback have you received? This is not about “tooting your horn”, it’s more about expanding on the positives and letting prospective customers know that others have had a great experience with you. It may be along the lines of “87% of our customers got a positive result”, or “We’ve helped 2,125 people get a better night’s sleep” or something similar. People will always believe a third party endorsement over something you say about yourself, so take the opportunity to share the positive feedback you receive (with the permission of those who gave you the feedback of course). Add to the authenticity of your business brand by writing a profile of one of your valued customers. Tell the customer’s story, it helps to humanise your business. A case study shows the before, during and after of your product or service. It clearly details what the customer’s initial problem was, the alternatives they considered and why they chose you. You have the opportunity to demonstrate the way you went about helping the customer and how their life has been changed by your product or service. If possible, ask your customer for a brief video testimonial to include in the post and share on social media – video is very powerful. There is a multitude of ways you can tell the story of your business and share your experiences. You might like to tell your customers how you came to be in business, share some important lessons you’ve learned or detail how your industry is changing. Profiling your staff members can also help build trust, demonstrate your knowledge and detail your industry experience. All this helps build your authority and influences your potential customers to buy from you. This article has outlined just a few ways you can generate blog post ideas for your business. Adding regular fresh content to your website can help attract more business. If you need help to ensure you maintain a regular blog posting schedule, this article may help. When you sit down to write an article for your company’s newsletter or blog, do you struggle to find ideas? Stop wasting your valuable time. Try one or more of the following tips from the toolkit of a Professional Writer. 1. Look at your FAQs – What are the questions most frequently asked by your customers? Make a list and answer then. If you don’t already have an FAQ section on your website, the information you gather could form the basis of an FAQ page, as well as inspire an article on one or more of the questions. 2. Tell them what they don’t know – For example, you could write, “10 things you need to know before selling your home”. A title such as this often draws attention, as most people want to be sure they know as much as they can about a particular topic – especially when selling a home! 3. “How to” articles – Relate the article to one of your most popular products or services. Share the information you usually give to customers when they purchase from you, and add a little bit more if you can. This builds confidence in your prospects and may also reinforce your relationship with current customers. 4. Tap into your testimonials – Hopefully you’ll already have some statements from happy customers. You can build an article around these, for example, “How we helped Bob catch a record-breaking fish”. 5. New products or services – People often enjoy reading about innovative products or services. Be sure to detail how this can improve their life, for example, “How a revolutionary new printer cartridge helped business save 50% on their stationery bill”. 6. Interviews – Profile a trusted customer or top employee, detailing what they like most about your organisation, how you’ve helped them or the importance of their role in your business. 7. Current trends – Look at what’s going on in your industry or the wider business community at the moment. Is there a trend that people want or need to know more about? 8. Think about the season – Whether it’s Christmas, Easter or Valentine’s Day, you can often find a way to link a product or service to the occasion. For example, “Top 10 quick and easy Christmas lunch ideas”. 9. Link to events – There are so many events throughout the year that you could link your product or service to, for example, “Top 6 training tips for your fun run”, or “How to have the best experience at Big Day Out”. Just take care not to detract from any charity events. 10. Share your experience – Think about some of the important lessons you’ve learned during your time in business. For example, you could write about, “What I learned in my first year in business” or “What I wish I’d known before I ran a marathon”. I hope these prompts have got you thinking about writing your next business article. If you have any questions or comments, please feel free to email me. Still got “writer’s block”? Try this. Hi, I’m Lyndall Guinery-Smith, The Professional Writer. 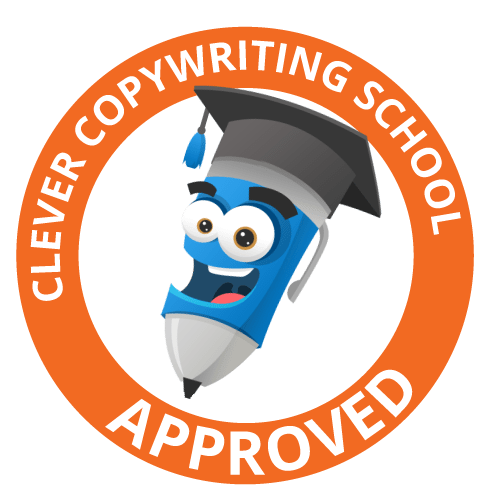 I love to write copy dedicated to attracting and engaging your customers, and improving your bottom line. I have a strong background in Real Estate and I’m a specialist Property Copywriter. I also enjoy writing Company Profiles and Social Media/Blog content for all types of businesses, and happily work with clients all round Australia. Email me to arrange an obligation-free discussion about your latest project. We all know how important it is to make a connection with customers in business today. Smart businesses create brand awareness and influence both prospects and customers by involving them in their story. Think about companies such as Apple computers, Boost Juice or Red Balloon Days … all have built prominent profiles based on their culture and unique story. There are thousands more companies who’ve done the same thing in their own industry or marketplace. A powerful story can motivate, persuade and inspire your prospects, turning them into customers – and increasing your bottom line. If you wish to influence others, you must have a good story. What particular chapter of your own personal story will your target market best relate to? For example, if you’re a property marketer targeting first-time investors, you might tell your own personal story of how you bought your first property and how you went on to build a portfolio of dozens of investment properties. In order to shape your story, you need to be clear on who you are and what your purpose is. What do you, personally, and/or your business stand for? Are you connected with any charity work? What common interest do you have with your customers? You don’t have to be able to answer every one of the above questions, but answering at least some of them will give you an idea of your own unique story. If you’re unsure, you may need to work with a friend or coach to discover some answers. Lyndall has a strong background in Real Estate and is a specialist Property Copywriter. She happily works with clients all around Australia. Email her to arrange an obligation-free discussion about your latest project. OK – so you’re keen to get an article published in your industry magazine, online journal or local newspaper. Most publications are happy to accept article submissions from your small business – as long as you have an interesting angle! So, what’s the key to success? Following are 5 quick tips to help you write an article the editor will love… and want to publish! 1 – Who’s your target market? Let’s say you’re a freelance make-up artist. Your target market might be teenage girls who want professional makeup for their formal /graduation or young women who are potential brides, as well as their mothers. If you coach kids after school, you’d target working parents who need help with getting their kids’ homework done or parents looking to improve their children’s academic results. 2 – Where is your article being published? Your story needs to capture the attention of this specific target audience. What type of publications or online media is your target market reading? Approach these publications first. If you’re really struggling to find an angle which fits your business, your target audience and the publication, you may need to approach a different publication. 3 – What does your audience want to know? Consider what type of information your audience is looking for. What can you say that will elevate you to the level of expert in your field and influence them to call/email you to make an appointment or purchase your products? Think about the questions you frequently answer for your customers. Offer helpful information in your article – they’ll want more. Choose one angle per story. If your first story is of interest, there’s most likely going to be opportunities for further articles in the future, so save the other topics for later – or another publication. 5 – What’s your best angle? Is your business innovative or the first of its type in your community? What specific problem do you solve for your clients? How does your product/service help enhance client’s lives? Do your products/services help clients save or make money? Have you recently been nominated for, or preferably WON an award? What’s your personal story/background – what led you to start the business? Can you tie your business into something which is a current media issue? What’s your point of difference? What’s your Unique Selling Proposition? Listen to your current customers – why have they come to you and how have you helped them – Incorporate testimonials from your current and/or past clients to reinforce the point you are making. Testimonials are very powerful, but you must seek permission to publish the name and suburb of each person providing them. Creative thinking is essential in today’s fast-paced business world. If you’re able to regularly tap into your creativity and come up with innovative new ideas, you’re likely to be streets ahead of your competition. Teamwork – Get your team together (or gather friends and associates if you don’t have a team), take time out – away from all distractions – and brain storm! Firstly, come up with a list of issues you need to address, then one at a time, discuss each issue openly without dismissing any suggestions at first – explore every option. Customer Focus – Take a close look at your current customers. Draw up a profile of your “typical” customer and assess how you serve them now. Think of ways you can serve them better – or ASK them how you can via a survey. Meditate – Don’t knock it if you’ve never tried it! Get yourself a guided meditation to start. You can do just 10-15 minutes each day, focusing on one issue each time. It’s amazing what new ideas you can come up with. Exercise – No, it’s not a dirty word. Exercise stimulates the body and brain, getting the blood and creative juices flowing. If you’re not into the gym or boot camp, just go for a walk in pleasant surroundings. Do you have a hobby? Take time away from your business to get out into nature, do some gardening, paint, draw or take photos. These creative activities can stimulate your thinking within the business. Get colourful – get out the paper and coloured pencils and draw a mind map by placing the issue in the centre of the page and exploring a range of options. Use a different colour for each option. Study your competitors – Check out how they’re doing things. The idea is NOT to copy them, it’s to look closely at what they’re doing and work out how YOU can do it better, much better! Once you’ve given any or all these ideas a try, please let me know how they helped you become more creative and bring that creativity alive in your business. Also feel free to share an idea you have for exploring creativity in business. Happy creating! Now that I’ve got your attention … let’s find out how you can attract more business with a targeted article or press release. Does your business help customers save time or money? Do you help people plan for a family holiday or a better future? Do you have a link to a current news story? Did you business come to life out of a significant event in your life or someone else’s? Do you have a celebrity customer? Once you’ve settled on a story angle, you need to carefully consider your target market. A lot of business owners consider “everyone” to be their target market, but you really need to think about who your ideal customer is – perhaps its the person who spends often and regularly, then refers their family and friends to you. Think about your ideal customer’s specific needs. Are they young mothers or mature women? Do you work with people who are conscious of the environment or those who are interested in development? What ever their interests are, your article needs to connect with them and address their needs. Now think about the publications your ideal customer reads or watches. You need to know whether they are reading so that you can target those particular websites or print publications with your article. Depending on your audience, you may also need to think about the tone of the language used in the article. Targeting your article to the right audience is vital if you want your article published, read by customers and the final outcome … to bring more customers into your business. Many small business owners would like to get customers to buy more products or services … and buy them more often. But do we know why people buy in the first place? When promoting themselves, what most businesses focus on is the facts. What we really need to do is tap into that emotion, to form a connection with that person and get to know our ideal customer. Stories can help do this. Stories give people something to repeat – Stories assist happy customers to spread that all-important word-of-mouth and to give referrals. However, your story must be powerful enough to resonate with the customer in order for them to repeat it. Once you’ve made that emotional connection, you’re well on the way to getting your customers to buy more from you. What’s your story? If you’re looking for some help to get your story heard, email me – I’ll be happy to help! She happily works with clients all round Australia, and loves to personally visit clients in the Northern New South Wales/Southern Gold Coast area. Email her to arrange an obligation-free discussion about your latest project. You want to promote your business and attract more customers. You’ve done your research and found out that writing a press release or article is a great way to start the ball rolling. Know your market – Before you begin, you need to know exactly who your target market is, i.e. who will buy your products or services, then tailor the press release or article specifically to attract the attention of that target market. Where to publish – Once you know your market, you’ll need to find out where they get their information, i.e. do they read certain websites or publications? Where are you most likely to get their attention? Set the tone – Knowing your target market, are they more likely to relate to a formal, business-like tone or a more relaxed and friendly approach? Your story angle – To get the attention of an editor, you’ll need a good story angle – something that is of interest to their readers. Can you: Save them time, money or stress? Help them plan for a holiday, better future or family needs? Think about how you can help solve the reader’s problem. Research your publication – Contact the magazine, newspaper or website where you wish to publish your article and ask whether they take freelance submission or press releases before you start writing. If the answer is yes, ask them what their editorial guidelines are and make sure you stick to those rules when writing and submitting your article.